Although Sony’s Mobile division doesn’t sell that many smartphones, Sony’s Imaging division has been wildly successful. Sony’s Exmor series of camera sensors are widely used in the smartphone industry. You’ll be hard-pressed to find an Android smartphone without one – at least, among the smartphones with great camera performances. While the imaging sensor alone doesn’t determine how good a smartphone camera is, knowing the sensor does tell us quite a bit of information about the capabilities of a smartphone’s camera. For example, only a few smartphones are capable of recording slow motion videos at 960fps. Devices like the Sony Xperia XZ2, Samsung Galaxy S9/Galaxy Note 9, and Huawei P20 Pro are able to record short videos at this frame rate. The Samsung Galaxy S9 is capable of recording 960fps video thanks to the presence of a DRAM die in the Sony IMX345 camera module, which is why the Super Slow Motion feature on the Galaxy S8 and Galaxy Note 8 only supports 480fps. On the Galaxy S9/Note 9, the camera sensor writes frames to the DRAM which then passes the frames to the image buffer and finally the storage, which is necessary when capturing at 960fps. The camera sensor found in the Pixel 2 and Pixel 3 isn’t capable of this feat, which is why slow motion is limited to just 240fps on both devices. Speaking of the Pixel series camera sensors, here’s what we know about the cameras on the Pixel 2 and Pixel 3. 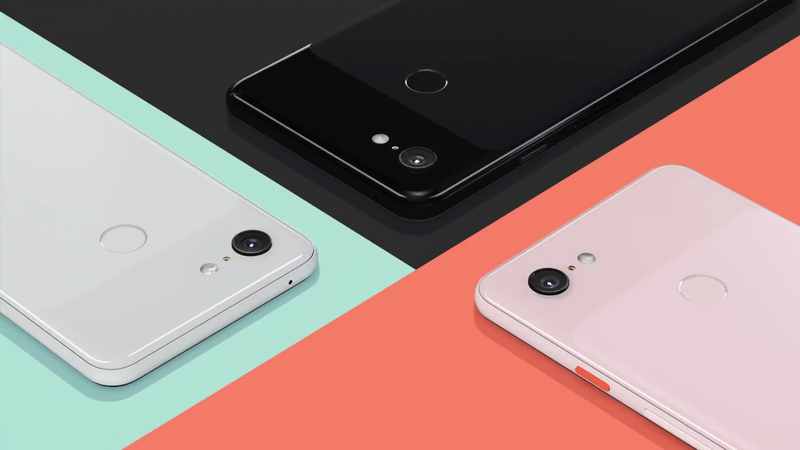 The Google Pixel 2’s single, rear-facing camera sensor is the Sony IMX362, a sensor which is also found on the HTC U11, Moto G5 Plus, ASUS Zenfone 4 series, and more. In comparison, the first-generation Pixel had the Sony IMX 378. The Pixel 2’s single, front-facing camera sensor is the Sony IMX179—the same as the one found on the Nexus 6P and first-generation Google Pixel. Despite the camera hardware used, the Google Pixel 2 is widely credited as the best smartphone camera on the market (until the Google Pixel 3, of course.) That’s thanks to the incredible work done by Google’s imaging engineers working to optimize the Google Camera app. What can we expect from this year’s model, though? What happened to [email protected]?